Finally it’s over. The three-way reinsurance merger and acquisitions battle between PartnerRe, AXIS Capital and Italian investment holding company EXOR S.p.A. has reached its conclusion, with EXOR coming out the winner. It’s just been announced that EXOR and PartnerRe have signed an agreement which will see the Italian investment group buying the reinsurance firm at a valuation of $6.9 billion, leaving re/insurer AXIS Capital out in the cold. The agreement will see EXOR acquiring all of the outstanding common shares of PartnerRe for $137.50 per share in cash plus a $3.00 per share special dividend, resulting in a cost of $140.50 per share, and valuing the reinsurance firm at approximately $6.9 billion. The amalgamation agreement between PartnerRe and AXIS Capital, which had been well into its implementation phase as integration activities had been ongoing for some weeks, has now been terminated, leaving AXIS Capital to benefit from a $315 million termination fee paid by PartnerRe. PartnerRe preferred shareholders will also receive the enhancements announced earlier this month as part of the terms of the EXOR transaction. John Elkann, Chairman and CEO of EXOR, commented on the announcement; “Today’s agreement is very positive for PartnerRe and EXOR. Under our stable and committed ownership, PartnerRe will continue to develop as a leading independent global reinsurer. The agreement includes a “go-shop” period during which the PartnerRe board is entitled to solicit and evaluate any competing offers to the EXOR transaction and will be allowed to enter into negotiations related to any such proposals received prior to September 14th 2015. PartnerRe shareholders will have to approve the transaction, which seems likely at this stage, at a special general meeting to be called as soon as practicable. The acquisition is expected to close no later than the first quarter of 2016, subject to obtaining the necessary shareholder approval, receipt of regulatory clearance and customary closing conditions. EXOR has committed to pay PartnerRe $225 million as a partial reimbursement of the termination fee paid by PartnerRe to AXIS, if certain transaction approvals were not received within 12 months following the signing of the deal, or if there are any non-appealable legal prohibitions to closing. AXIS Capital has agreed to the termination of its planned merger with PartnerRe, perhaps now leaving the re/insurer vulnerable to other approaches, especially as the termination fee raises its value a little further. It will be interesting to see whether any buyer for AXIS Capital comes forwards in the coming weeks, or if AXIS itself decided to pursue another company. EXOR will be delighted that it has finally got an agreement to its offer for PartnerRe, having pursued the reinsurer with increasingly enhanced deal terms for some months now. When the deal completes, assuming nothing gets in its way, EXOR will benefit from a reinsurance business to diversify its holdings and PartnerRe will benefit from being part of a diversified group which should enable it to operate at a lower cost-of-capital. 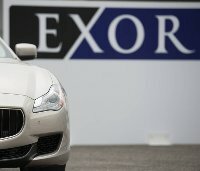 EXOR will also inherit the third-party reinsurance capital management and insurance-linked investment activities of PartnerRe, which include the Lorenz Re sidecar special purpose insurer, a catastrophe bond fund that PartnerRe has operated since 2006 and some quota share activity with third-party investors. AXIS has reinstated its capital return plans now that the merger is off. Benchimol added; “We are prepared to move ahead with our fiscally disciplined growth strategy and a commitment to return excess capital to shareholders in the form of dividends and stock repurchases. Since becoming a public company, we have repurchased approximately 92.8 million shares of AXIS Capital stock for a total of $3.3 billion. So finally this reinsurance M&A saga is over, see our long list of articles below for the full history. AXIS can concentrate on progressing its own plans as a standalone re/insurer, while EXOR can plan for its entry into the reinsurance market. Of course for the market this means that two does not become one, in this case, meaning that there is no reduction in markets or retrocession cedents in this case. That’s also good for Bermuda, where there would have been some job losses as a result of the merger. It will be interesting to track the potential of PartnerRe under EXOR ownership, when the deal completes. It’s also going to be interested to see who’s next to come into focus in the re/insurance M&A arena. – PartnerRe said to contact EXOR, as it seeks to salvage a deal. – Third proxy voting firm favors PartnerRe being bought by EXOR. – AXIS refrains from citing proxy firm inconsistency in second report. – Glass Lewis tells PartnerRe shareholders vote against AXIS deal. – AXIS Capital questions ISS opinion on PartnerRe merger. – ISS tells PartnerRe shareholders not to vote for AXIS merger, plus EXOR’s response. – PartnerRe & AXIS continue to highlight tax risk of EXOR deal. – AXIS: PartnerRe deal superior “immediately & in future” to EXOR deal, halts integration work. – PartnerRe Board says EXOR’s offer likely superior, but still prefers AXIS. – Enhanced PartnerRe – AXIS terms weaken merger rationale: Analyst. – PartnerRe and AXIS reveal improved merger terms. – EXOR says PartnerRe & AXIS acknowledge transaction is inferior. – PartnerRe and AXIS Capital evaluate improving merger deal. – As EXOR pursues PartnerRe, AXIS could attract buyer: Macquarie.